Roxana Illuminated Perfume: Won't you come into the garden? Won't you come into the garden? “Won't you come into the garden? The lovely and gracious editor of Sniffapalooza Magazine, Raphaella Brescia Barkley, has included our Rosa in her favorite Rose perfumes. 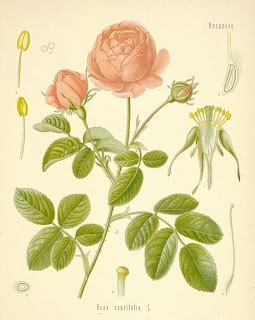 Read about it in the latest issue of Sniffapalooza, in Part Three of Raphaella's Roses. Read more about Rosa here at this journal.